Audio Visual Technology Solutions will be attending the Bristol Hifi Show on the 26th - 28th February 2016. 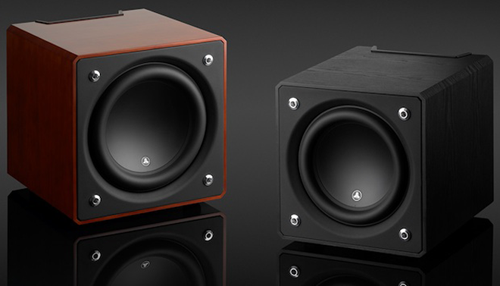 The new JL Audio Fathom® V2 series of subwoofers will be on demonstration with our JL Audio CR-1 Crossover. Find out about all our latest news and products, including the new JL Audio JLINK (TRX & RX kits), available 2016. Audio Visual Technology Solutions will be attending the Bristol Hifi Show on the 20th - 22nd February 2015. The JL Audio Fathom® & E-sub® series of subwoofers will be on demonstration with our new JL Audio CR-1 Crossover. Find out about all our latest news and products, including the new Dominion Sub (D108 & D110), available 2015. Audio Visual Technology Solutions will be attending the Bristol Hifi Show on the 21st - 23rd February 2014. The JL Audio Fathom® & E-sub® series of subwoofers will be on demonstration. Find out about all our latest news and products, including the new E-Sub (E-110 & E-112), available 2014. Audio Visual Technology Solutions will be attending an open event at Ideal-AV on October 26th and 27th. The JL Audio Fathom® series of subwoofers will be on demonstration with a 11.2 loudspeaker system. Two systems will be on demonstration, a discreet installation and a dedicated home cinema installation. Each room is equipped with the latest projection technology. Find out about all our latest news and products, including the new E-Sub (E-110 & E-112). Audio Visual Technology Solutions will be attending an open event at Ideal-AV on May 11th and 12th. The JL Audio Fathom® series of subwoofers will be on demonstration with a MK Sounds 11.2 loudspeaker system. Two systems will be on demonstration, a discreet installation and a dedicated home cinema installation. Each room is equipped with the latest projection technology. Find out about all our latest news and products, including the new E-Sub (E-110 & E-112). Audio Visual Technology Solutions will be attending the Bristol Hifi Show on the 22nd - 24th February 2013. The JL Audio Fathom® series of subwoofers will be on demonstration. Find out about all our latest news and products, including the new E-Sub (E-110 & E-112), due for release in the second quarter of 2013. Excellence, Efficiency & Engineering Elegance "E-Sub"